Insurance policies are something that we are very aware of in our modern society. Almost everyone has insurance policies on their car, home, and health. But how did our ancestors handle insurance before the state required that every driver carry an insurance policy? What did people do to protect their belongings before they could simply hop online and get a free insurance quote? 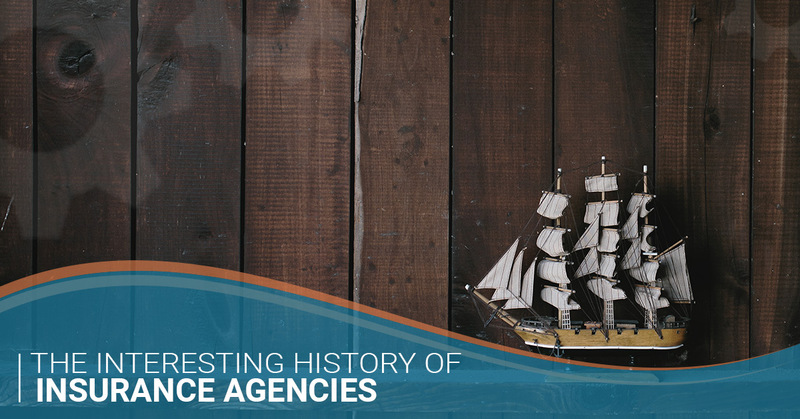 In today’s blog, we’re going to take you through time to discuss the interesting history of insurance — and we promise, it is certainly interesting! Keep reading to learn more. They always say that insurance is something you hope you never have to use, but you are happy you have it. Everything we do has risks, and a good insurance policy helps to eliminate individual risk by spreading one person’s risk among many people and businesses. For example, presidents and their vice presidents have rarely traveled together to avoid the risk of something happening to both of them and their successor, airplane pilots eat different meals on long flights to avoid the risk of having two pilots with food poisoning, and fish swim in schools to protect the group as a whole from total collapse from predators. These are all versions of “insurance” and taking steps to reduce calamity based on risk. Insurance as we typically think of it not only helps to replace your physical belongings like your car and house if they are damaged, but also protects you from paying thousands or even hundreds of thousands in medical bills if you are in an accident that injures someone else. With insurance, you pay a little bit each year in order to provide you with significantly more in financial coverage if you ever need it. Every person who buys insurance contributes to the mitigation of risk for others, and they in turn help mitigate the risk for you. You can probably guess that our ancient ancestors did not simply walk into the nearest insurance agency, lay down some gold, and have exponential protection if their horse ran off with their cart. So, how did modern insurance come about? For that, we have to travel back in time. In the ancient world, merchants would sell goods in their own village — a relatively low-risk endeavor. However, as time went on, they began to sell to neighboring villages, and then around the globe. By the 1300s, merchants would send boatloads of goods across the seas to be sold. A boat’s worth of a product in one spot poses a much higher risk for calamitous loss than what a merchant can carry to the market in a wagon. And the risk was real. When combining storms, ship fires, and pirates, it was not uncommon for ships to go down or be pillaged while carrying a person’s life work and livelihood. To reduce the risk of total loss, merchants began spreading their products among multiple ships. If one went down, at least they had the others. Moving into a more modern understanding of insurance, in the Middle and Dark ages, master craftsmen joined guilds, which would then supply them with an apprentice who would work for free or little pay while learning the trade. Once the apprentice was skilled enough to become a master himself, he would then join the same guild of craftsmen, pay dues, and train apprentices of his own. Because the craftsmen paid into the guild, the guild would then rebuild their shop if it burnt down or reimburse them for lost goods if they were burgled. If the master died while a member of the guild, the guild would compensate his widow. Does this sound a little like a modern insurance company? This insurance then encouraged more and more people to join into these guilds, allowing for a greater spread of risk and a bigger pool for compensation. In 1706, the first official agency offering life insurance policies emerged in London, called the Amicable Society For A Perpetual Assurance Office (has a nice ring to it, right?). Much like modern companies, the Amicable Society allowed members (at the time, only working men) to pay a fixed annual premium. At the end of the year, a portion of the contributions were divided among the widows and children of any deceased members. By the time the 19th century came around, many “everyday Joe’s” spent hours and hours traveling by railway every week for work and travel. This, of course, came with risk. Out of this risk emerged the Railway Passengers Assurance Company in 1848. This insurance could be purchased with your train ticket, and it would “grant assurances on the lives of persons travelling by railway and to grant, in cases, of accident not having a fatal termination, compensation to the assured for injuries received under certain conditions.” This insurance gave people peace of mind as they traveled that they would be compensated if an injury occurred and they could no longer work. 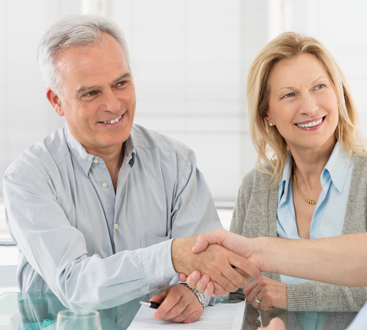 While insurance may seem like an afterthought that you purchase after you become the owner of a home or car, it is actually highly integrated into the world of consumer goods. An insurance company will not insure a house that is a major safety hazard, a homebuyer will not invest in a house that cannot be insured, and a homebuilder will not build houses that they cannot sell. The same goes for cars, commercial buildings, boats, and more. Even commercial companies who make products must prove that their products are safe for consumers before an insurance company will agree to back them if someone gets hurt using their product. This cyclical pattern ensures that manufacturers are creating products that meet safety codes and regulations, meaning that consumers are in safe homes and vehicles and using safe products, lowering the risk for consumers, insurance providers, and manufacturers. Insurance has come a long way, and we are proud to offer Allstate insurance in Houston and the surrounding areas. We want you to be protected when the unexpected happens, and we would love to sit down and create a custom policy that meets your needs. Get in touch with our insurance agency today to learn more, or request a free quote and one of our friendly representatives will reach out shortly.